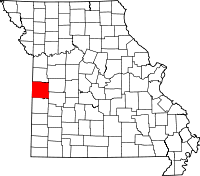 Certified birth and death records for Bates County can be obtained in two places: the Bate County Health Department at 501 N Orange in Butler, MO, and the Bureau of vital Records with the Missouri Department of Health and Senior Services in Jefferson City, MO. The application for birth and death certificates are provided on the Bureau website and can be submitted at either location. Records at both locations begin in the early 1900s and continue to the present. The Bureau can be emailed at VitalRecordsInfo@health.mo.gov or called at (573) 751-6387 with further questions. Also in Butler are the Circuit Clerk and Recorder of Deeds, the offices which keep track of marriage records, and divorce and property records, respectively. Both offices are housed in the Butler County Courthouse at 1 N. Delaware, and both are open to the public throughout the week during normal business hours.